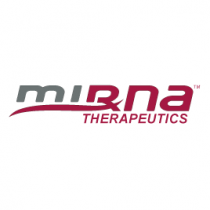 Interim results are in for Austin-based Mirna Therapeutics‘ open-label, phase 1 clinical trial evaluating MRX34 in patients with advanced primary liver cancer and other malignancies of the liver. Mirna announced that MRX34 is tolerated by patients and has a manageable safety profile. “We are very excited to make progress toward establishing a recommended dose and dose regimen for the continued clinical development of MRX34,” said Paul Lammers, MD, President and Chief Executive Officer of Mirna, in a news release. Mirna previously gave details of the safety profile of MRX34 in patients with unresectable primary liver cancer and began enrollment for the current trial in June. The trial involves an initial dose-escalation phase, during which the maximum tolerated dose of 110 mg/m2 has been preliminarily established. After, MRX34 will be administered intravenously according to one of two regimens. The first gives an injection twice a week for three weeks and allows one week free of treatment before beginning another 28-day cycle. The second gives an injection daily for five days before allowing two weeks off from treatment and beginning another 21-day cycle. Both regimens will be continued until disease progression or intolerance to treatment. Dose escalation is ongoing for the daily dosing schedule, but 52 patients were included in the interim analysis. Adverse events included fever, chills, and injection site pain, which was alleviated through a corticosteroid premedication. “As the first microRNA mimic to enter clinical development, the data reported today represent another step forward for MRX34, our lead product candidate,” said Dr. Lammers. Muhammad Shaalan Beg, MD, from the University of Texas Southwestern Harold C. Simmons Cancer Institute, presented the interim data at the 26th European Organisation for Research and Treatment of Cancer-National Cancer Institute-American Association for Cancer Symposium on Molecular Targets and Cancer Therapeutics in Barcelona, Spain. Although the goal of the study is to determine the safety profile of MRX34, it was shown some patients are experiencing early signs of clinical activity. Some of the responsive patients have cancer affecting the hepatic, neuroendocrine, or colorectal systems; small cell lung cancers; or diffuse large B-cell lymphoma. It is proposed MRX34 has beneficial effects due to its imitation of the naturally occurring tumor suppressor miR-34 and inhibition of cell cycle progression in cancer cells. Development of MRX34 has been moving along steadily, with Mirna filing an Investigational New Drug Application in early 2013 and initiating the current trial in April 2013. More results will be obtained as the trial progresses.